After roughly 70 casts she got it! Any mounts or pets I have on any of my other level 85s were purely accidental. I have never actually ‘tried’ to farm for any specific mounts or pets. That changes starting now. So I am working on a list of the pets I would like to have and what it takes to get them. A few are achievement rewards, which means collecting many more pets that I wouldn’t collect other than for the reward pet that I want. The one thing I am NOT doing is purchasing any pets or mounts from the Blizzard Store. I think in the last four years I have given enough money to Blizzard for my subscription, server transfers and faction changes. So any pets or mounts I would like to get are available in game using only time and research. Sea Pony– Woohoo! Got this one today on Ezdenia…now to put Calizari to work on her fishing…perfect way to get her started and get something more than stinky fish out of it! Proto Drake Whelp– chance of getting from the Mysterious Egg which require Oracle rep. So in order to get all those, which isn’t much but in order to get them I need to collect quite a lot more pets and work on Oracle reputation as well. It should keep me busy until Mists is released. Not many, I just really would like a Proto Drake…not picky which one. Many bloggers have worked through or are currently working on a Bucket list. It’s something to get them through until the MoP release. And considering the amount of people who did the Annual Pass, including myself, that means there are lots of bored toons in Azeroth these days. For me that list is easy to fill, even though I have been playing for 4 years next month. What can I say? I had Raid-on-the-brain! There are quite a few things I have never done in World of Warcraft. I use to just fly through leveling a toon for the sole purpose of getting them geared up enough to raid. Thinking about some of those things lately to see if there are things I would really like to do between now and MoP release. Of course, I found many things to do this summer! 1, done any of the seasonal events. Love is in the Air, Noblegarden, Brewfest, etc. 2. worked towards any specific achievements outside of Raid completion. Loremaster achievement is one of the first I will be working on. I found an add-on that I will be trying out. http://www.curse.com/addons/wow/loremasteraddon Anything to avoid quests that do not count towards that goal. And since I am currently leveling toons through the Dungeon Finder only, the amount of gold I will make off quests will be greatly appreciated! 3. camped a mount or farmed old instances for mounts. I would really like the Time Lost Proto Drake. Aeonaxx doesn’t thrill me all that much tho but if I got lucky enough to spot it, then why not go for it. 4. worked on any titles outside of the Explorer title. Even then I only did it on one toon. 5. tried RBGs or Arena and since I am going to get back into PvP, maybe I will get the chance to try out an RBG or two. 6. actively worked on collecting pets. Any pets I have on any toons were purely luck. 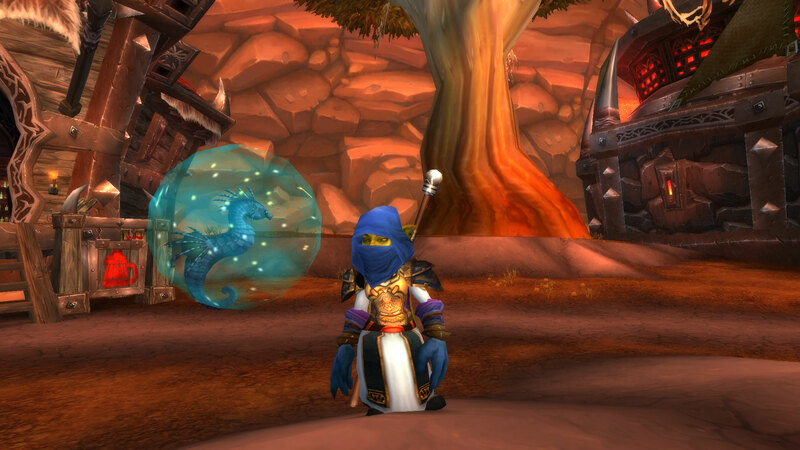 7. transmogged any of my toons. 8. leveled Engineering on a toon. It’s the only profession I have never leveled. Time to fix that. 9. gotten anywhere near current gold cap. And that is definitely something to work on, especially with a new expansion coming. 10. never leveled a tanking toon. I have thought about leveling a Prot Warrior specifically for farming old dungeons though. Not really sure about tanking dungeons or anything like that yet. Maybe a Blood DK to save some time? That is if I can get the hang of managing Runes. Decisions, decisions. So there is a ton of things I have never done in-game. I guess once I have a new Main, there will be lots to work on while passing the time until MoP. If the predictions are right, and I think they are, I have plenty of time to get working on most of this list. That is if I don’t melt in the summer heat.